The military regime's inability to effectively respond to the humanitarian catastrophe lying in the wake of Cyclone Nargis reflects, along with the regime's traditional neglect of civilian interests, underlying fissures within the country's armed forces. 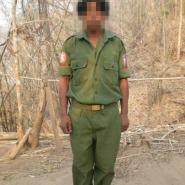 Threats, physical abuse and under nourishment are rife in the Burma Army, according to testimonies provided by recent SPDC deserters. These statements support reports coming out from other sources about the declining morale within Burma's armed forces, and the regime's increasing reliance on forced conscription, including of children, in an attempt to meet unrealistic objectives of military expansion. Tension and violence within the ranks of the Burma Army led one deserter interviewed by KHRG to turn his gun on a senior officer, killing him before fleeing from his army unit. As part of the overall campaign to entrench military rule in Burma, the then State Law and Order Restoration Council (SLORC) stated in 1995, that it aimed to reach a total of 500,000 personnel in the country's armed forces within five years. More recent reports on Burma's armed forces, however, suggest that this figure has definitely not been reached, and was likely never a realistic objective in the first place. One Burma military analyst has suggested that "even with a limited form of conscription, the regime has been unable to attract and retain enough suitable recruits to fill all the Tatmadaw's new positions." A leaked internal Burma Army document cited by Jane's Defence Weekly in March of 2007 reported that "Burma army battalions are poorly managed, lacking resources and are plagued by desertion." Human Rights Watch, in its October 2007 report on child soldiers in Burma identified "Declining morale in the army, high desertion rates, and a shortage of willing volunteers" to be major factors leading to the Burma Army's increased reliance on child recruits. These reports on the declining morale within the Burma Army and the military's increasing reliance on forced conscription, including of children, are confirmed by recent KHRG interviews with Burma Army deserters. 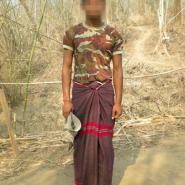 Two testimonies of soldiers who recently deserted from the Burma Army, quoted at length below, describe the situation of forced conscription, including large numbers of children below the age of 18; poor treatment of rank and file soldiers by corrupt and abusive officers; and mistreatment of local civilians by army personnel. Such conditions highlight the ongoing instability of the Burma Army, division within its ranks and its heavy reliance on coercion and abuse, both of its own soldiers and the local population, to enforce compliance with unrealistic orders coming down through the military's chain of command. These testimonies also refute the SPDC's claims that "the Myanmar Armed Forces is a voluntary army." For the sake of coherence the following two testimonies by SPDC Army deserters are quoted at length. 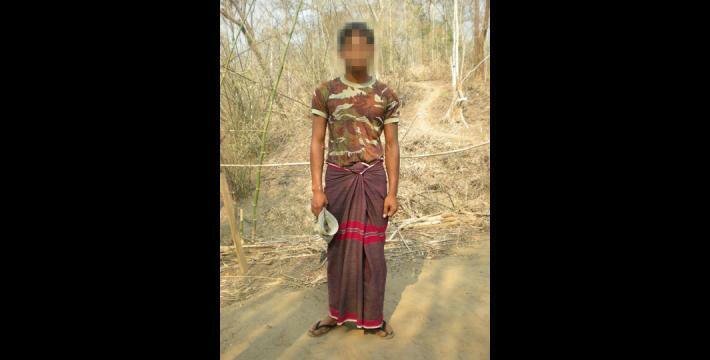 The first individual, 23-year-old Ko M--- from Irrawaddy Division, was initially forcibly recruited as a child. The second individual, 20-year-old Ko Y---, said that about 20% of the new recruits in his training programme were under the age of 18. KHRG field researchers conducted both of these interviews in Papun District during April 2008. "I fled from LIB [Light Infantry Battalion] #341. My personnel number is ###. I have only completed one grade of my education. … At the time [when he was recruited to become a soldier in December 2002], my uncle was working in Rangoon and I was arrested while I was going to visit him. A police officer named U Kyaw Gyi said to me "You don't have an identification card so you'll have to go to prison. If you don't want to be imprisoned, you must become a soldier." At that time, I was still young and I couldn't understand very well about what they were talking about. But I didn't want to go to prison so I chose to become a soldier. At that time, I was 16 or 17 and I had no desire to become a soldier. As soon as I finished the training I was sent to join LIB #341. Including me there were 11 soldiers who were sent. First one officer from LIB #341 came and collected us and then we traveled by car until we arrived at Pa'an and then continued to K'Ma Maw by boat and to Papun [town] on foot. There are [now] only two people left [of the original 11 soldiers]. One of them lost his leg and there is another one. The others have already fled. Some fled as soon as they arrived in Papun [town]. I arrived at [the camp of] LIB #341 on June 12th 2003. We had to be active for two tours of duty per year and one tour of duty lasts four or five months. We could only take one month's rest [between tours]. I had to stay in Bpa Heh, Kwee Koh, Thoh Der Kyaw Nya, Kwee Ya Hoo, Na Taung, [camp #] 2669, Dah Kway, Oo Thoo Hta, Thaw Leh Hta, Meh Poh, [camp #] 2514, Meh S'Lah and Kaw Bpoh [army camps]. I have been to all the camps along the borderline [with Thailand]. There are no camps that I haven't been to. The name of the battalion commander [of LIB #341] is Aung Thaw Htun and the name of the deputy battalion commander is Nay Myo Aung. The warrant officer's name is Hlaing Oo. The company #1 commander's name is Thein Myint Htun. And the company #2 commander's name is Thein Win Htun and the company #3's commander's name is Yeh Twin So. Company #4 is the 2nd column and that column was deputy battalion commander Nay Myo Aung's column. There were four companies and one headquarters. The headquarters battalion commander was in control. He had assistants. Nay Myo Aung's assistant's name was Lwin Ko Oo and he had two stars [the rank of Captain]. The other people also have only two stars each. They told us that we had to go to the front line. It took us a long time to go [to the frontline]. When we stayed in Meh S'Lah we had nothing to eat. We gathered some metal containers to sell and get some food. But when deputy battalion commander Nay Myo Aung arrived in our camp, they sold off our metal containers and he said "this money is for the cost of my boat fair." I had been waiting for a chance to flee for a very long time already because they ordered us to do a lot of work and they gave us a limited amount of rice for our rations. During the night time, we had to do sentry duty. We didn't have enough rice but we had to do hard work. It was deputy battalion commander Nay Myo Aung [who ordered the work], so most of our soldiers were dissatisfied with him. Even though we did a lot of work, we couldn't get enough rice. Once one of the officers with one star [the rank of 1st Lieutenant] asked a Corporal [who ranks lower] to shoot a deer. But the Corporal wasn't able to get that deer and so the officer with one star beat and punched the Corporal and when our soldiers saw this we couldn't tolerate it. So we punched and beat the officer in return. After that we were satisfied with each other. When I arrived at a pier [along the river] I shot Nay Myo Aung's assistant Lwin Ko Oo dead, as I had planned. I shot him once. During the night time, they [the officers] placed many restrictions on us. We could only listen to the radio and have conversations with one another until 8:00 o'clock. We couldn't do more than that. If the soldier doing sentry duty was gazing ahead absently and didn't notice them [the officers] coming [to check on him], they [the officers] would order the soldier to lie down on his chest and beat him with big pieces of wood because they said that the soldier doing sentry duty was falling asleep. They tortured the soldiers in such ways. The rice was not good and even though we got rations, we didn't get enough rice. They [the officers] are doing their own business. If they can get one thousand [kyat], they take one thousand [kyat] [i.e. they are greedy]. They [the officers] get more rations than us [the soldiers] and they also get some surplus [extra rations for the battalion]. They take their own rations and they sell the surplus rations. They don't explain to the soldiers the reason [why they sell off the surplus rations]. When the battalions rotate, they sell the rations to the incoming battalion. …the battalion commander didn't allow us to hunt the wild animals. I wasn't satisfied with them [the Burma Army officers]. There were many soldiers who suffered as I did. If I compare our battalion with MOC [Military Operations Command] #19, MOC #19 is better than ours. Our leaders always oppressed us. Their [the officials'] families could live comfortably. For the soldiers' family they aren't able to get enough food. They have to buy rice at 500 kyat per quart [0.95 litres] from the families of the officers. Some families have 5 or 7 people. So it's a difficult situation for them. Some soldiers aren't satisfied with it and others dare not say anything about it. I had to cut grass, cut bamboo poles and fence in the garden [during his spare time] and also had to go on security patrol[s]. We had 16 or 17 acres of farmland for the soldiers so every soldier had to work on the farm even when they took their holiday. We had to buy rice from the farm. It didn't give any benefit to us, only to the officials. It took just one day [to escape]. I started to escape at 9 o'clock. I kept running for 45 minutes and I saw a man. I communicated using body language. I thought that he couldn't speak Burmese. Later on he spoke to me in Burmese and I was very happy. He asked me to give him my gun so I gave it to him. And he said to me, "you are lucky." 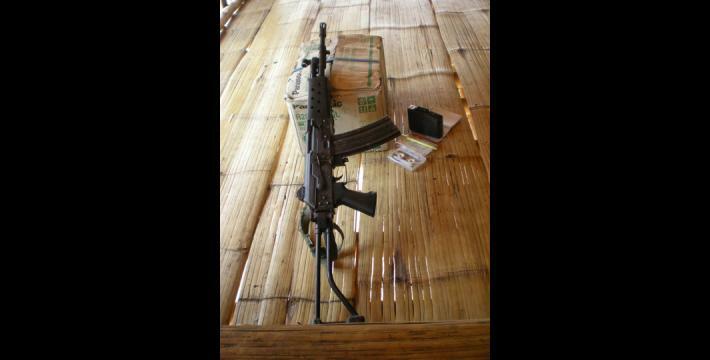 That man sent me here [to the Karen National Liberation Army (KNLA) camp]. I like staying here." "I graduated from 6th standard. My mother was a seamstress and my father was a fisherman. Without me knowing anything about it my mother enlisted my name in the army. When I arrived there [at the Burma Army camp in Karen State] I didn't want to stay so I fled. I stayed in the army camp for just 10 days and then I fled. … [His mother] was worried that I would get married with a girl who she didn't like. My mother asked the camp commander to come and take me from my home. I stayed in Bpeit [in Tenasserim Division] for 5 or 6 days. I [then began to] attend military training in June 2007. I learned how to use landmines, grenades, mortars and rifles. I finished attending the training on February 28th 2008. At first, there were two brothers who tried to escape but they were recaptured and put in detention for 15 days. [Then] those two people were released. Before the two brothers were put in detention they were beaten by the trainer named Than Htun. There were ten trainers. There were 263 people who attended the same training course with me. Among those people there were 50 children in the training. Their ages were just 16 and 17. They [Burma Army authorities] sent them [the soldiers] to Papun through Ka Ma Maw. After the training there were 21 soldiers who were sent to join IB #340. The other soldiers said that if they had a good opportunity, they would also escape. It took almost 10 days [to escape]. I had planed to escape since I attended the training. I couldn't endure the oppression by the leaders in the training so I tried to flee from them. During the first 3 days when I initially arrived at the military training place I didn't see them punish or oppress the soldiers, but later on I saw it. They also said to us [as a threat], "If you really want to escape, you had better make sure that you do escape." So I tried and I did escape. When I escaped at that time, there were only three trainers, myself and another two soldiers staying in the place. The trainers tried to show us how to go on security patrol. The trainers left us with their guns and they went to go and drink alcohol. The other two soldiers and I, we all escaped. The two soldiers escaped to other side [into central Burma]. For me, I fled straight into the Nga Bpway [Karen armed opposition] side. I'm dissatisfied with the SPDC because they collect people and order them to do military service. Among those people [who must serve in the military] there are old people who are 50 and young people who are 16 and 17, who have not yet reached their [legal] age. They gave us a salary but they also deducted money from us. They didn't explain to us the reason for deducting the money. For example, when a soldier died they would collect money from us and also in other cases. We also had to dig a canal at the military training camp in Thaton. They didn't give us the money that we should have got for digging the canal. In reality we were hired for 700 kyat [per person] to dig it. …I escaped from IB #340 with only a long gyi on my body. I took off all of my uniform. I crossed a small forest and I saw a sign board which said "welcome to Papun town". I walked along the road. I covered the gun with my long gyi. When I saw a motorcycle I had to hide under the bushes. I entered into a grandmother's house and borrowed a bicycle. She was very friendly to me, so she let me take it. She asked me where I was going. I replied to her that the commander ordered me to buy alcohol and I took her bicycle. I asked for an empty salt sack and I put my gun in it. And then I turned towards section four [of Papun town] and passed a police station. After a while it became dark so I couldn't see anything and I entered into a Karen house. I asked permission from them to hide in their house they said that their house was not safe for me because soldiers occasionally arrived at their house while patrolling. So they sent me to a monastery. They took me there themselves. The monk was Karen. He checked my gun and gave it back to me. He told two young monks to take me out of the monastery. We walked along a small forest path. The two monks knew the path very well. They asked me whether I was still able to walk and I replied that I could. [They said that] If I couldn't walk, they would send me by boat. They brought me to a riverbank and asked three boat owners to take me further. So we continued the trip by boat. In the middle of the trip the boat stopped and they told me that the petrol had run out and that they would go and get petrol. They went away for a while and came back and told me that they couldn't find any petrol. We had to sleep there. They asked me to leave my gun in the boat. We made a fire and slept under a tree. I fell asleep for a while and when I got up I saw them pointing the gun at me. They asked me for money and I said that I didn't have any money. They took me to their [KNLA] camp. They fed me rice and water. They untied me at the road and took me to K--- village. I stayed there for ten days and then they sent me here." The two deserter testimonies quoted above illustrate the increasing tensions within the Burma Army; tensions which have hindered the implementation of orders, often unrealistic ones, coming down the chain of command. This tension expresses itself as top-down violence by officers against soldiers, and in the case of Ko M--- above, as violent retaliation by soldiers against abusive officers. The declining morale and large-scale desertion, evident in both testimonies quoted above, in combination with the SPDC's unrealistic expansion objectives, point to the leading factors behind the military's increasing reliance on forced recruitment, including of children. The State Law and Order Restoration Council (SLORC) renamed itself as the State Peace and Development Council (SPDC) in 1997. The change in name, however, was cosmetic with no substantive shift in military policy or practice. Andrew Selth, 2002, Burma's Armed Forces: Power without glory, Norwalk: Eastbridge, p.79. Tatmadaw is the Burmese language term for Burma's armed forces which includes the army (Tatmadaw Kyi), navy (Tatmadaw Yay) and air force (Tatmadaw Lei). Andrew Selth, 2002, Burma's Armed Forces: Power without glory, Norwalk: Eastbridge, p.80. Jane's Defence Weekly, March 2007 quoted in "Leaked report revealed low morale in Burma's Army," BBC, March 19th 2007. Sold to be Soldiers: The Recruitment and Use of Child Soldiers in Burma, Human Rights Watch, October 2007, p.5. Union of Myanmar: The Length of Borders with Immediate Neighbouring Countries, Myanmar Information Committee, Yangon, October 10th 2002. Additional cases and information on Burma Army soldiers are available in Growing up under militarisation: Abuse and agency of children in Karen State, KHRG, April 2008 and Abuse under Orders: the SPDC and DKBA Armies through the Eyes of their Soldiers, KHRG, March 2001. Light Infantry Battalion of the SPDC, supposed to be about 500 soldiers strong but at present most SPDC battalions number under 200. Infantry Battalion of the SPDC, like LIBs these are supposed to be about 500 soldiers strong but at present most SPDC infantry battalions number under 200. A Military Operations Command (MOC) has ten battalions divided into three Tactical Operations Command units. MOCs are used for offensive purposes and operate under orders of the Regional Command. There are 13 MOCs in Burma. 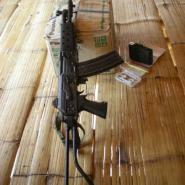 Nga Bpway, Burmese for 'ringworm'; a derogatory term with which Burma Army personnel refer to the Karen National Liberation Army (KNLA). Long gyi, a Burmese style sarong.